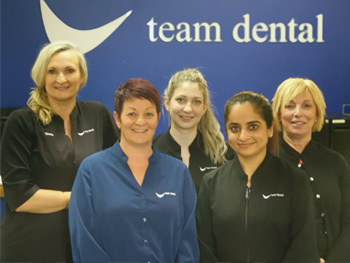 Team Dental respects your privacy and has policies in place for using data collected while visiting this website. Any contact details you give us are in safe hands. We will not disclose any personal information to any other party or sell any of your information to any other company. You can also ask to see any personal details we have on file at any time. We offer easy opt-out options on all email correspondence and act on any requests. We may also collect non-personal information on your site visit. This information includes your internet service provider, the time and length of your visit, the pages you look at on our sites, and the method by which you arrived at our site. We only use this information on an aggregated basis to measure site activity and to develop ideas for improving our site.